Time to check out a simple and small component for, you guessed it, time. 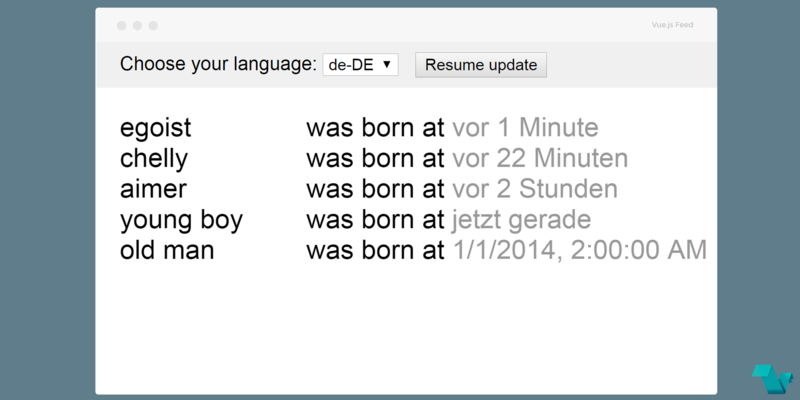 Use the timeago component in Vue.js projects, to monitor elapsed time since a certain date, with i18n support. For all supported languages, see /locales, it's easy to add a new language support. If you want to play around with it, check the Demo page. The author has disabled Vue-devtools usage on this page but you can try it in your own environment. To make use of this plugin, start by installing it in your project. The since prop is a string value representing a date. The string should be in a format recognized by the Date.parse() method. So you can pass your own dates in a few different ways. More options are available at the API section. If you want to check out the source code of this plugin or submit a request, head to its repository available here. Created by @egoist.